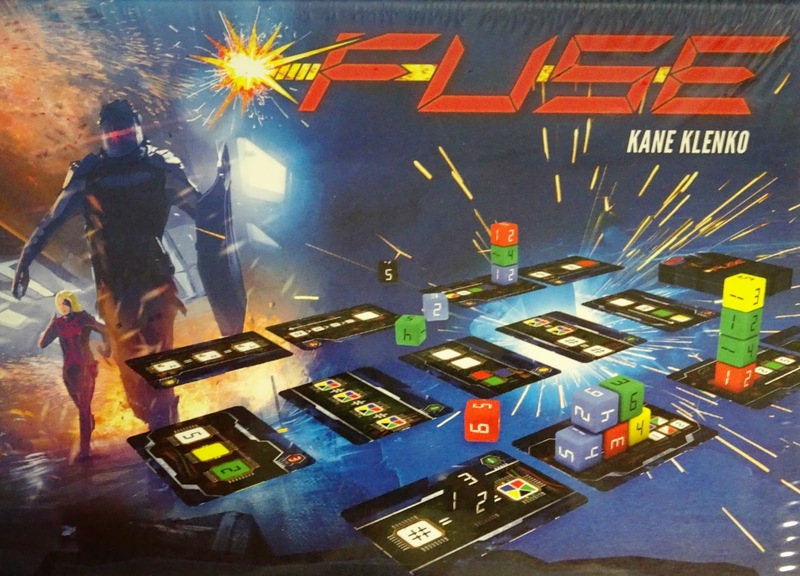 New from Renegade Games is Fuse, a timed cooperative dice game for 2 to 5 players. Players are members of an elite Bomb Defusal Team who must work together to save their ship from impending dome. Your team will have 10 minutes to defuse a select number of Bomb cards. Each Bomb card requires a specific dice combination in order to defuse it. Each player starts with 2 of the Bomb cards. On each round a number of dice of various colors equaled to the number of players will be drawn and rolled. 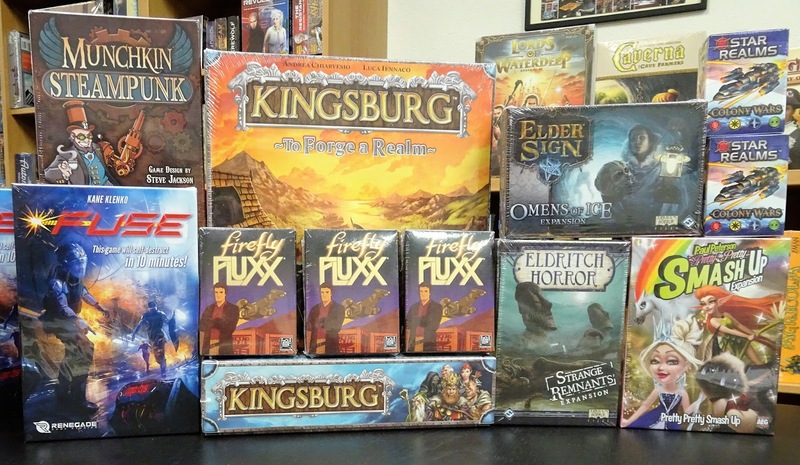 The group will then decide how best to distribute the dice among their cards. Each player must take a die. This process is repeated completing as many Bomb cards as you can within the 10 minutes. However, not so fast - Fuse cards add additional pressure to the game. Mixed into your Bomb card deck will be a number of Fuse cards that can cause players to remove a die from their uncompleted Bomb cards. Does your group have what it takes to work through the intricacies of the bombs and defuse them in time? 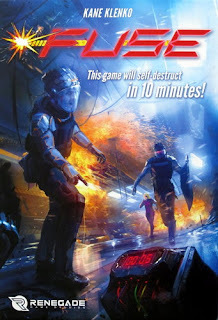 You’d better get moving, because this game will self-destruct in 10 minutes…. 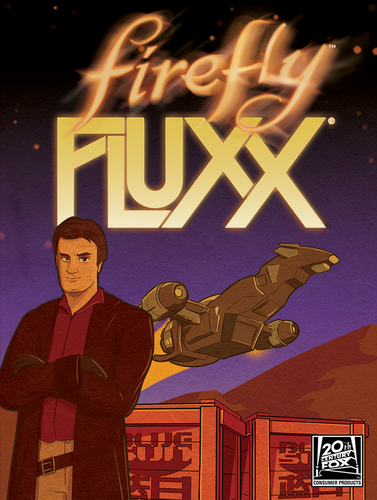 firefly Fluxx is the newest edition in Looney Lab's popular ever-changing card game Fluxx. 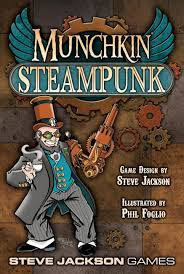 Munchkin Steampunk is the newest edition in Steve Jackson Games popular Munchkin card game series. Grab your gears, put on your top hat, whack the monsters, and grab the treasure . . . with the powers of SCIENCE! Munchkin Streampunk brings the zaniness of Munchkin to the pseudo-Victorian steampunk era. 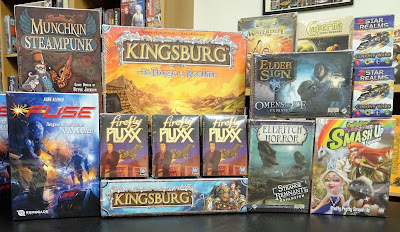 Munchkin Streampunk is a stand-alone game with 168 cards and can be combined with any of the Munchkin card games. Munchkin is a satirical card game based on the clichés and oddities of Dungeons and Dragons and other role-playing games. Each player starts at level 1 and the winner is the first player to reach level 10. There are two types of cards - treasure and encounters. Each turn the current players 'kicks down the door' - drawing an encounter card from the deck. Usually this will involve battling a monster. Monsters have their own levels and players must try and overcome it using the levels, weapons and powers they have acquired during the game or run away. Other players can chose to help the player or hinder by adding extra monsters to the encounter. Defeating a monster will usually result in drawing treasure cards and acquiring levels. Being defeated by a monster results in "bad stuff" which usually involves losing levels and treasure. 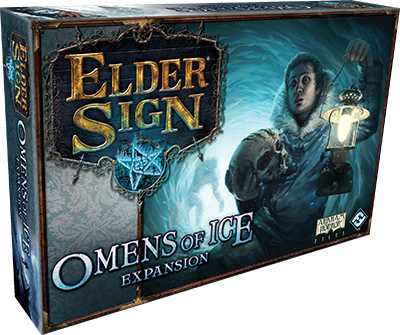 Omen Of Ice is the latest expansion to Elder Sign, a cooperative game of suspense and supernatural investigation. Omen Of Ice takes you on a treacherous journey into the Alaskan wildernesses, where you must solve the mysteries of 3 terrible new Ancient Ones. Whether you choose to travel in summer or are forced to go in winter's dark, at every step you'll face terrible perils.